Take Heart, Dear Christian! 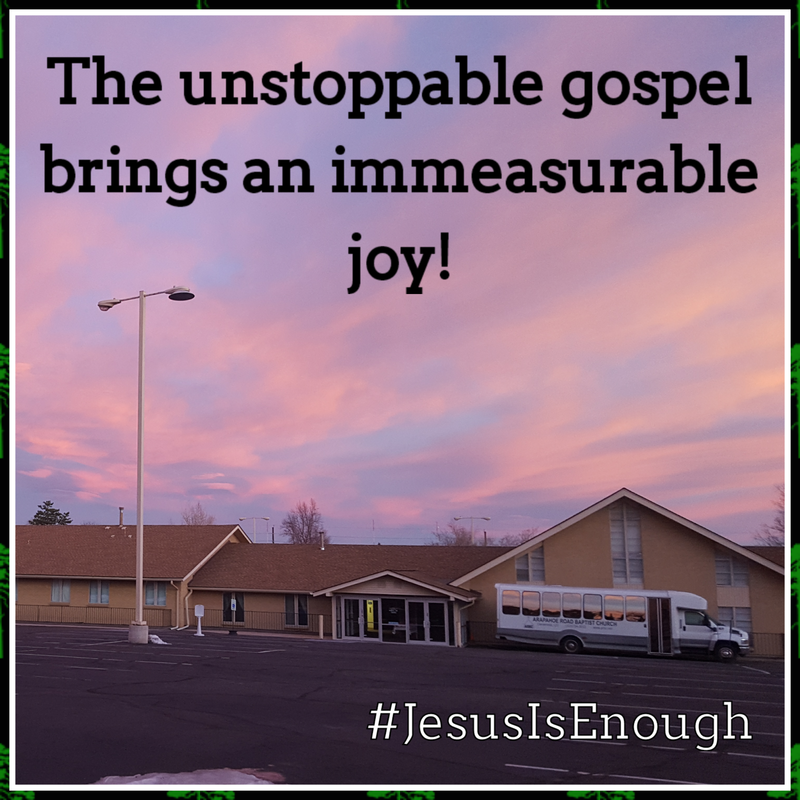 The Gospel is Advancing – Be. Make. Multiply. Send. 12 I want you to know, brothers, that what has happened to me has really served to advance the gospel, 13 so that it has become known throughout the whole imperial guard and to all the rest that my imprisonment is for Christ. Have you ever visited someone or talked to someone with every intention of trying to encourage them, and they turn around in their troubled times and encourage you? When we see that “what has happened” to him was, as it said in v. 13, imprisonment! Christ has called us to go to those who are sick, ill, and in prison. Why? To strengthen and encourage them. Yet Paul tells them a great piece of encouragement: all of what’s happened has proven to advance the gospel. Not slow it down. Not stop it! Not obliterate it. Advance it! Here, he carries it before Gentiles—but few likely expected that it would be among the Roman guard and other inmates. But why do we find ourselves limiting who would hear the gospel? The gospel is advancing. Jesus told the Pharisees that he came to call ‘sinners’ to repentance. When you came to Christ, dear Christian, did you see yourself as a sinner in need of a Savior? Or, as so many seem to believe, God saved you due to your goodness, your righteousness, if you will? As you read through the gospels, you always sensed that the Pharisees believed God loved them because of their moral superiority. And those are not the people Christ came to call. He came to call sinners, and that’s the very thing that people in their flesh struggle with the most! Most people come into our churches wanting therapy, to feel better about themselves, thinking they we are essential good people needing a tune-up. Former quarterback and Joe Theismann explained to his soon-to-be ex-wife why he had an affair, said to her, “God wants Joe Theismann to be happy.” So, both inside and outside the church, we believe there is some righteousness we have and that God is in heaven looking to us saying, “What will make you happy? Let’s put it over the goal-line.” The gospel advances. How joyful for the Christian! Next Can Anything Good Come from Sin? Yes!